McGhie and Betts, A Division of WSB & Associates, Inc.
Luke is a Minnesota Professional Soil Scientist and North Dakota Professional Soil Classifier in WSB's Environmental Planning and Natural Resources Group. He has over 16 years of natural resource and environmental review experience throughout the Midwest. Luke’s experience includes wetland delineation, monitoring, permitting, wetland banking. Soil characterizations for archeological assessments, surficial geologic assessments, and septic system design. He is also very knowledgeable in stream surveys, monitoring, assessment and restoration. In addition Luke has completed numerous natural resource management plans that include vegetation management plans, habitat conservation and restoration plans, and forest management plans. 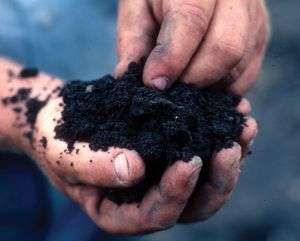 Looking for a Professional Soil Scientist? The points on the map show the locations in Minnesota where you can find a Professional Soil Scientist and Certified Wetland Delineator near you. Principal Scientist of Soils Investigation and Design Inc.
Our clients benefit from our diversified experience and updated technologies. Soil Investigation & Design staff have years of experience working with government agencies, corporations, communities, small companies, financial institutions and individuals who need assistance with environmental concerns. We help interpret regulations that apply to each situation, provide technical data, and work with regulatory agencies to resolve any problems. In addition to our in-house staff, Soil Investigation & Design is associated with experts in companies across the country. This professional network allows us to quickly respond to specialized needs. Wayne Jacobson, P.S.S., W.D.C., A.F.S. soil and hydric soil investigations, aquatic weed control, and Phase 1 environmental assessments as well as EAW's. He also holds a MPCA septic license. Interested on listing your information on this page? If you are a 2014 member of MAPSS please submit your information using our form (click here).